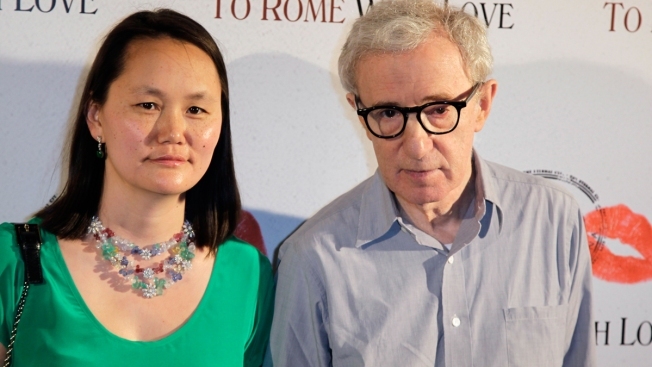 In this Monday, June 25, 2012, file photo, writer and director Woody Allen and wife Soon-Yi Previn arrive for the screening of "To Rome With Love," in Paris. Soon-Yi Previn, the wife of Woody Allen and the estranged adopted daughter of Mia Farrow, defended her husband against what she contends is unfair treatment in the #MeToo era and attacked her adoptive mother in her first public comments about the relationships in decades. New York magazine posted on its website Sunday night an in-depth article about Previn in which she talks of a troubled relationship with her mother and tells how she fell in love in 1992 with Allen, who was Farrow's boyfriend at the time. The 47-year-old said she and her mother clashed soon after Farrow adopted her and that her mother many times treated her like a maid. She denies being manipulated into a relationship by Allen. Previn told the magazine that she decided to speak out now because Dylan Farrow, who is an adopted daughter of Allen, is, in her view, unfairly accusing her husband of sexually abusing her when she was a child. "I was never interested in writing a 'Mommie Dearest,' getting even with Mia — none of that," Previn told the magazine. "But what's happened to Woody is so upsetting, so unjust. (Mia) has taken advantage of the #MeToo movement and paraded Dylan as a victim. And a whole new generation is hearing about it when they shouldn't." She also said of Farrow: "Mia wasn't maternal to me from the get-go." An email sent to Mia Farrow's agent Sunday night was not immediately returned. The Associated Press does not typically name victims of sexual abuse, but Dylan Farrow has commented extensively on her allegations that Allen abused her in 1992 when she was 7-years-old. 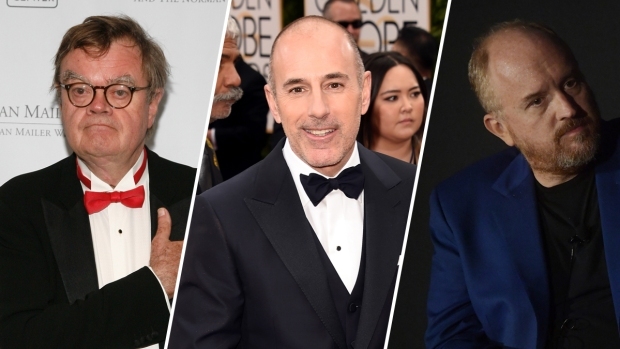 Allen was investigated but wasn't charged, and he has long denied inappropriately touching Farrow. In a statement in January after Dylan Farrow's allegations resurfaced, Allen reiterated his denial and accused her and her family of using the Time's Up movement "to repeat this discredited allegation." In separate statements posted on Twitter Sunday night, Dylan Farrow and Ronan Farrow say their mother is a good parent and that the New York magazine article is inaccurate and unfair. Dylan Farrow also noted that the New York magazine piece's author, Daphne Merkin, calls herself a longtime friend of Allen's. The director, who faced a wave of backlash earlier this year including several prominent actors vowing not to work with him again, is also quoted in the New York magazine piece. "I am a pariah," Merkin quotes the director as saying during a lunch. "People think that I was Soon-Yi's father, that I raped and married my underaged, retarded daughter."